Unfortunately, this hasn’t happened! You need to check, and keep checking the local listing for your own business until it has successfully migrated, in case your listing gets lost! 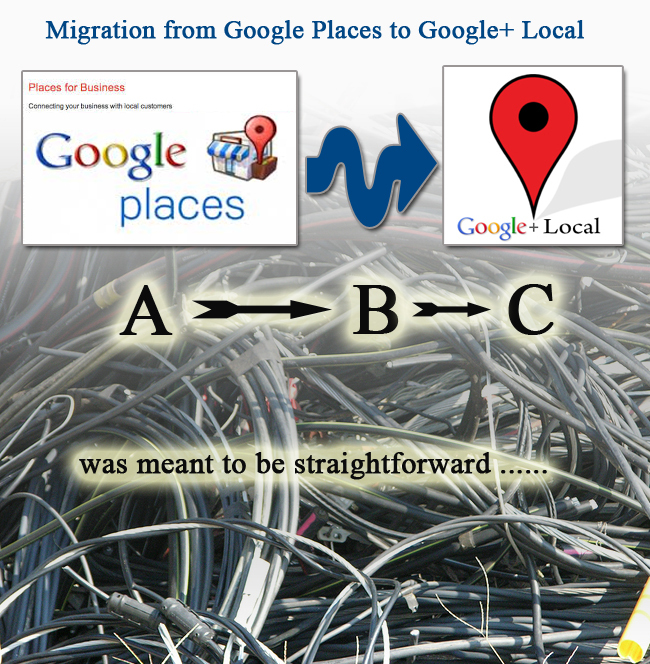 Google Places to Google Plus Local – not as straightforward as you hoped? Google started this process way back in May 2012, but it has been a painful process and many businesses have not seen the migration carried out yet. No-one seems to know when the project is due for completion. I am not going to bore you with the details of why this migration is necessary – most of you know about Google Plus and the thinking behind it – suffice it to say it should ultimately be better for business owners – not least because the Google Places setup was full of holes/problems. The migration should have been as simple as A-B-C. Managing your business just got easier. With the newly redesigned Google Places, it’s now simpler than ever to improve the way YOUR BUSINESS shows up on Google. Make sure to give customers all the right information about your business. You click on the link in the email which takes you to a webpage where you agree to some new terms & conditions and voila! You are then able to add further information to your new profile and ensure it is compliant with the new setup. 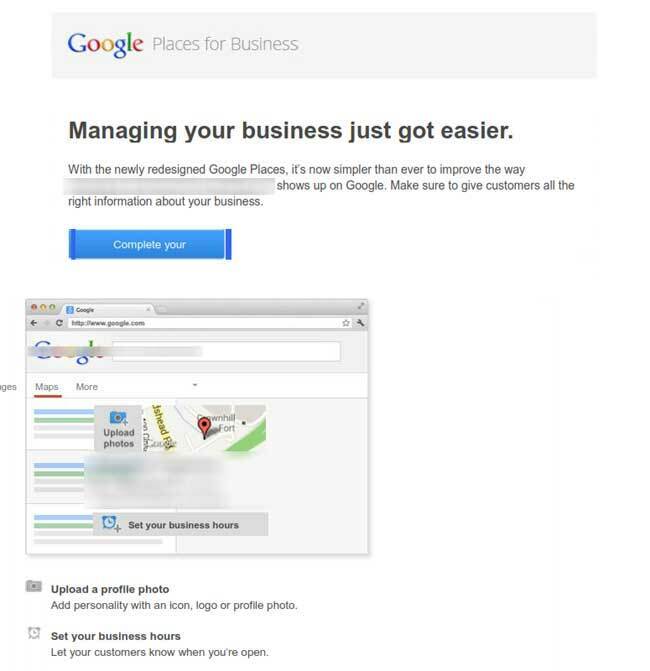 C. Your business is then officially be in the Google+ Local system. NO – Unfortunately this is where it could go wrong! Sorry, we don’t recognise the address. Please check the spelling and formatting of your entries. There may have been a spelling mistake in the original Places listing. Abbreviations such as ‘Rd’ rather than ‘Road and ‘St’ rather than ‘Street’ might need to be addressed. As we mentioned in a previous article, Rented MailBoxes and Business Centres are being removed as viable addresses. Whatever the reason, your local listing might get lost/forgotten in some limbo-land until you actively put the records straight. And we all know the importance to our business of having a local listing in Google and Bing, and have good/high listings! So, I come back to the main point! Check your local listing for your own business on a regular basis until it has successfully migrated, because your listing might get lost! Obviously, correct any obvious errors that you see. If you are unable to resolve the issues yourself, please contact us and we can help. Anyone have any experiences/problems with their migration? Verified Your Local+Page | Problems with Google Automated Systems?